This is my first post dedicated towards VMware NSX we will start with the Basic Overview of in this blog post and will be dedicating few more posts related to the Architecture, Components, Configuration and Management. But Before we proceed further with the overview of VMware NSX it's important to understand the concept of Virtual Network ? Virtual Networks is a Software Construct that has an associated Physical Network,in another Words Virtual Networks is a network of Virtual Machines running on Physical Machine that are connected logically to one another so that they can send data to and receive data from each other. We can create a Virtual Network even without Physical Network but in that case the communication would be constrained for Single ESXi host. Now Let's have a look at the definition of VMware NSX. 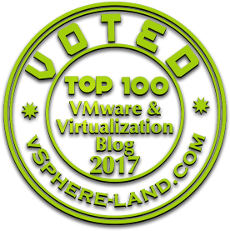 VMware NSX leverages the underlying VMware vSphere platform and provides Network Virtualization platform to leverage Logical Networks. Here comes another question in my mind based on the above definition of VMware NSX What is Network Virtualization and how it differs from Virtual Networks or they are same? Well to Answer Above Question there is a difference and what's that ? let's have a look with the help of an example. Which means VM's defined with VLAN 60 and VLAN 70 will not be able to communicate with any VM's other than the one which are connected on the same host and on the same Port Group. Now considering the same example of Distributed Switch with VMware NSX instead of using VLAN we implement VXLAN's (Will Dedicate another article to discuss more about VXLAN's) which removes any trunking dependency from the underlying Physical Network. Hence helping us to remove the limit of VM communication the one we have seen above and also providing us a broader approach of VM communication across hosts, clusters and data centers. VMware NSX can be deployed on existing Data Center Networks with the only requirement from the underlying network is IP connectivity and MTU size of 1600 Bytes or more. Once VMware NSX is deployed in the Environment Logical Networks can be deployed to provide Network and Security Services to the Workloads. Logical Network is a collection of Network and Security Services which is required by the applications so as they can be connected on the network and accessed by the users. VMware NSX provides Network and Security services like Logical Switching, Logical Routing, Logical Firewall , Logical Load Balancing, NAT, DHCP and VPN Services.